Nothing is more important than the security of your home. G&B LOCKSMITHS ensures the utmost in safety with our cost effective locksmithing services. Operating mainly in the northern suburbs, we are more than happy to assist you with your security concerns in a professional and cost effective manner. With over 20 years of security industry experience, the residential locksmiths and security experts at G&B LOCKSMITHS have the skills and knowhow to meet your needs. Offering 24 hour emergency services as part of our residential locksmith solutions, take comfort in the fact the best locksmiths in Melbourne are only a phone call away. Learn more about how we can help you on our Locksmithing page. All safes, strongrooms and security containers opened, serviced and repaired. 20 years in the industry specialising in all security storage containers, from prison locks, bank vaults, commercial grade safes, firearm safes and all home safes in general. 100’s of safes in stock, delivery and installation available. Electronic lock upgrades available for all safes sold, or we can upgrade your old combination lock. give us a call, you will be impressed by our honesty and prompt service. Preparing your home for selling. We can help with Preparations on selling your home. 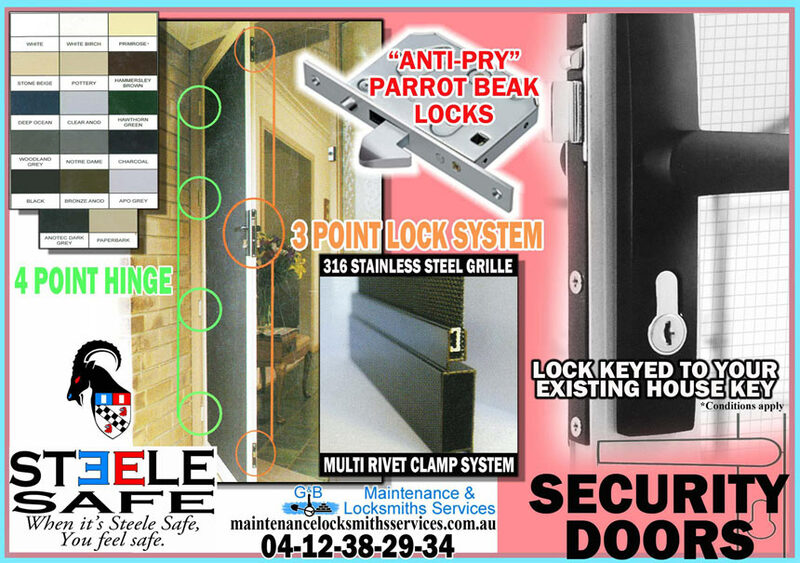 Not only do we do locksmithing, we install home security systems and more.